The weather forecast were not looking good for Saturday so I decided to stop on my way to Leeuwaarden in Lelystad to visit first the aviodrome there. Since the program of Leeuwaarden starts already in the morning, I missed already the major part of the flying display upon my arrival just in the afternoon. The Red Arrows were doing there display while I was trying to find parking space. Looking at the flight-program, I missed quit a lot already like our own Red Devils, Patrouille de France, Royal Jordanian Falcons, P-3C Orion from the German Air force but there was still plenty to see still in the afternoon. After a long walk arriving at the field, there was a fly-by of a Three-ship F-16 formation with the two F-16 demo-teams; the Dutch F-16 and our own Mitch and the second belgian F-16 present at Leeuwarden as replacement plane in case of "Vortex" failure.. I would get to see those three F-16's demo’s (KLU - BAF - Turkish Air Force) in full action later on. From the Belgian Air force, I missed the Red Devils but I got to see besides Mitch also the A-109 (H27) demo and the Sea King (RS04) SAR demo. Always nice to see our Sea King in action still. Not long before it will be replaced now by the NH90. Two more unusual demo’s for me where definitely the Finish F-18 and the Polish MIG-29. I don’t get to see them very often so it was nice seeing them in action. 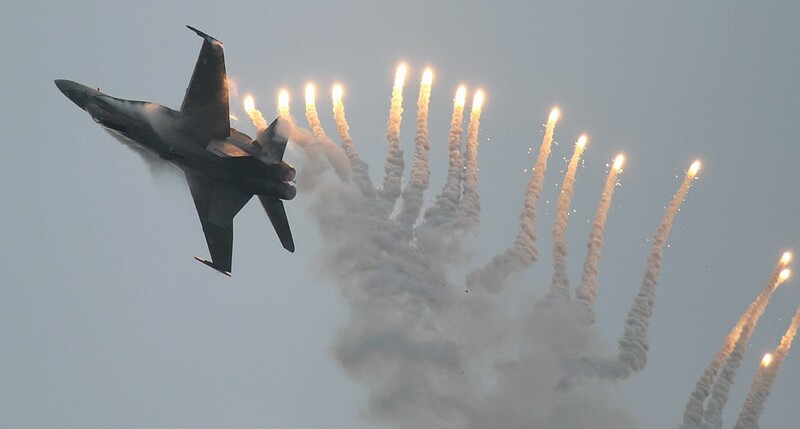 The Finish F/A-18C from 31 Fighter Squadron based at Rissala Air force base gave a nice display also using its demo-flares which provides nice visual effects. The Mig-29A Fulcrum is based at the Polish Airbase Minsk Mazowiecki with the 1st Air Tactical Squadron. The MIG doesn’t need a lot of smoke pods since it typically leaves behind some black smoke anyway. We have to enjoy seeing the Mig-29 as well in action since it will not be long before it will be retired as well. Pratica di Mare. Not seen many on air shows in our area and the pilot Major Raffaele Beltrame gave insight in the manoeuvrability of this jet. The highlight of the show although missed a great part of it was definitely the 6-ship formation of Hunters. The 6-ship was formed by a 4-ship of Team Viper and a 2-ship for the Dutch Hawker Hunter Association. They fly a Hunter T.8C ‘N-321’ and a Hunter F.6A ‘N-294’. Team Viper is based in the UK and is flying a Hunter T.7 ‘WV372’, Hunter GA.11 ‘XE685’, Hunter PR.11 ‘XG194’ and a Hunter T.7 ‘G-VETA’. The Hawker Hunter has this typical sound which is called the “ Blue Note”. Although it was only a short afternoon at Leeuwarden, I was happy making the trip and seeing some unusual things anyhow. 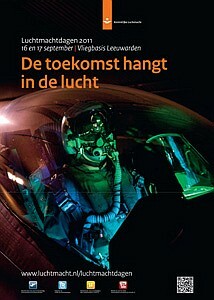 We will have to wait till 2013 for a next air show in the Netherlands organized by the Royal Dutch Air Force. Flares... and again vortex...Powerfull demonstration ! Hunter PR.11"‘XG194" Hunter GA.11 "XE685"